Bring your mulled wine to the boil, and keep it on a rolling boil for around 5 to 6 minutes so the mixture becomes syrupy and the alcohol burns off. Let it cool completely then pour it into ice-cube trays and pop these in the freezer until you need them. 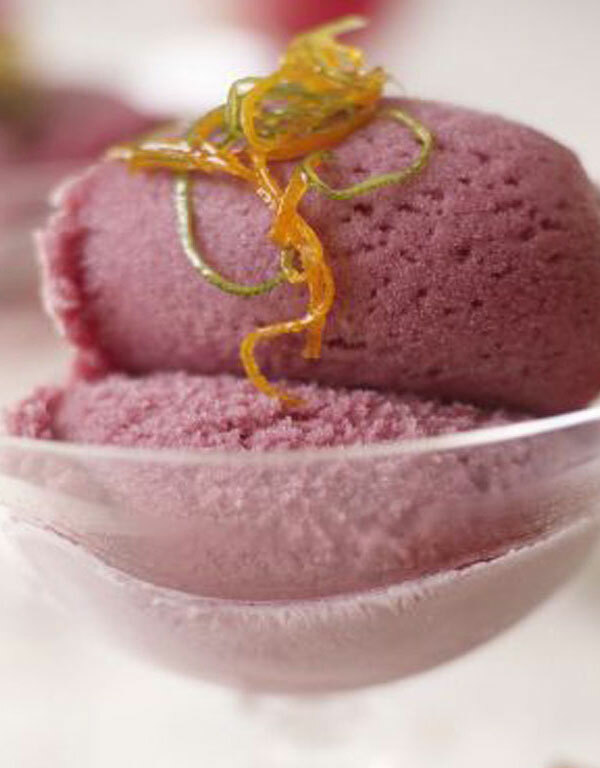 To make the sorbet, pop the cubes of frozen mulled wine into a food processor and give them one or two quick blitzes to break them down a little bit. Add your yoghurt or crème fraîche and whiz immediately until just blended. Spoon the sorbet into little bowls or cups and either pop these back in the freezer to set a bit or serve right away with a biscotti or some lovely fresh fruit on the side.